We are a leading manufacturer and supplier of Module Mounting Structure to our clients. 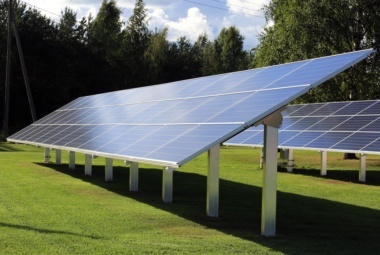 Solar Experts Has wide range of solar product and accessories includes a wide range of Solar Module Mounting Structures such as Solar Panel Mounting Structure, Solar Panel Structure, Solar Mounting Structure, Module Mounting Structure, Tin Shade Module Mounting Structures and Roof Top Solar Module Mounting Structures. We offer this highly efficient product in best suitable marketing prices to our clients.These is known for their sturdiness and durability. It is a very simple design , dedicated processes to install with customized sections. The design suits to any type of soil. Only a strong situ concrete and rammed foundations required.Single pole solar panel mounting structure is very easy to install on site. It is a modular structure, Installation involves only nut and bolt mechanism so it can be done yourself. 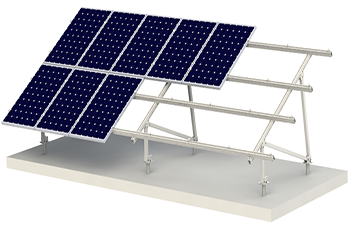 It can readily facilitate more than 200 modules per structure with optimized Solar Panel layout.Premium materials like Pre-galvanized steel for purlins and Aluminum clamps for module mounting are used and hence it is highly durable. This structure of the systems with wind shield is specially designed with Aluminum clamps for solar PV module mounting for highly durable. it reduces the structure weight in KW.